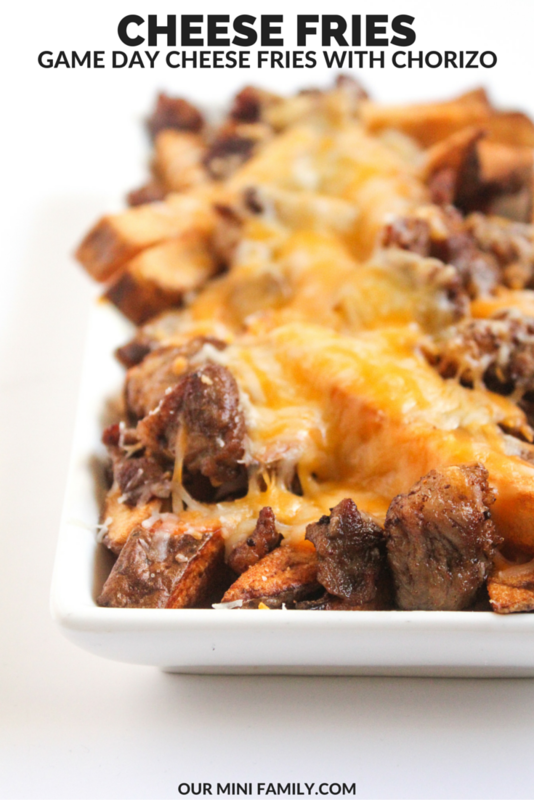 Game day season is upon us--I've already started preparing some appetizers and entrées to serve at our Super Bowl party, and I decided to come up with a recipe that combines a few of my game day favorites: Southwestern flavor, meat, cheese, and french fries. 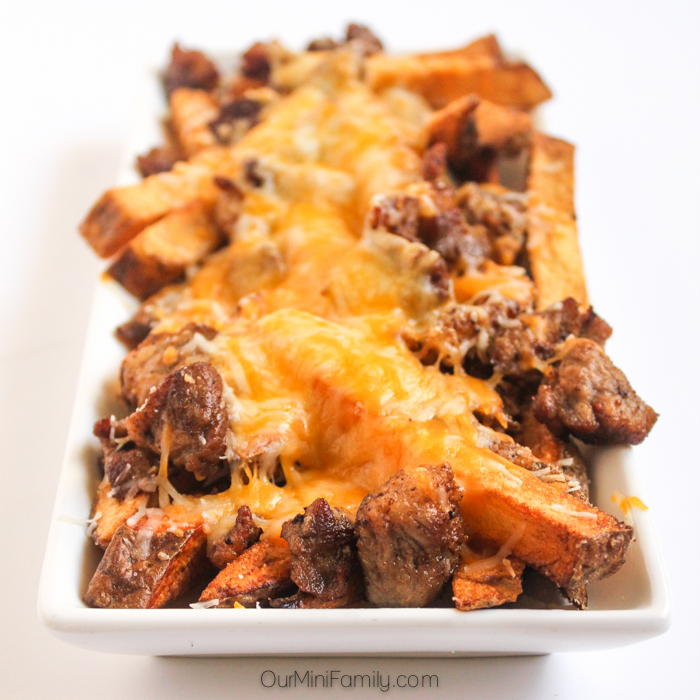 Today, I'm sharing my recipe for Chorizo Cheese Fries! 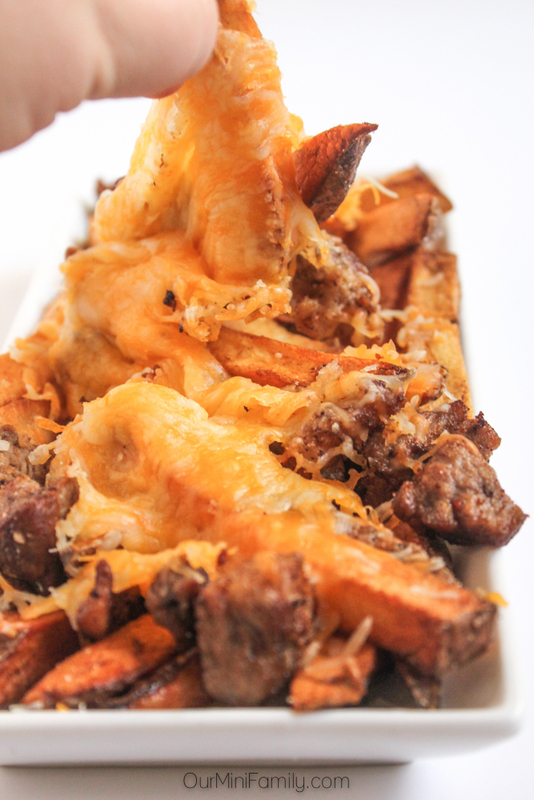 These Chorizo Cheese Fries aren't just for game day, though! These fries make a great appetizer or side dish for any get-together, and they serve as the ultimate comfort food recipe to try on a rainy day. Using a french fry cutter, dice up your potatoes into long strips of potatoes. If you're preparing these fries by hand, carefully use a sharp knife to dice the potatoes vertically. Fill a large bowl with cold water and let the diced potatoes soak in the water for one hour. In a large pan on the stovetop, fry diced pork shoulder on medium-high heat. In a small bowl, combine ground cumin with paprika, chili powder, and onion powder. Sprinkle the mixture into the stovetop pan and mix the spices with the pork shoulder. When the pork shoulder is fully cooked through, turn down the temperature to low heat (warm). To fry the potatoes, fill a small deep fryer with vegetable oil and preheat the fryer. If you are frying by hand, pour 1 tablespoon of vegetable oil into a large pan on the stovetop and preheat to medium heat. Before frying potatoes, remove them from the water and completely dry them (oil and water do not mix, so to prevent injury, ensure there is no excess water when frying potatoes). With a deep fryer, completely fry the potatoes until they are golden brown. Similarly, if frying on the stovetop, fry potatoes completely through until they are golden brown. Layer the fries on a oven-safe plate. Then, top the fries with the cooked pork and then sprinkle with the Mexican cheese blend. Broil the fries on high (in either the oven or stove) for up to 1 minute. Carefully watch the fries to ensure that you don't burn the cheese or fries, and remove fries from the oven once the cheese has melted as much as you want. Remove them from oven and enjoy! Making french fries at home is a lot easier than you'd think! 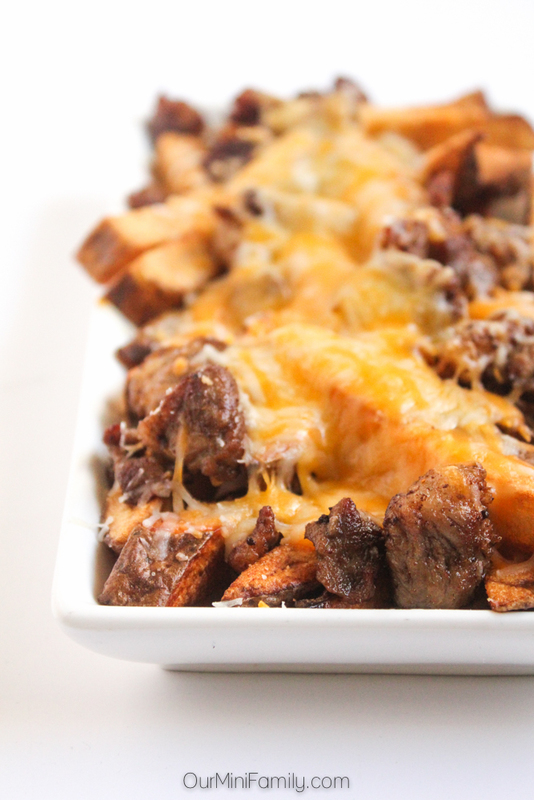 Adam loves this recipe, so I'm definitely planning on making these cheesy fries again for football Sunday. These Chorizo Cheese Fries do not disappoint--they are the ultimate comfort food, and perfect for any get-together where you want to serve an appetizer people can't keep their hands off of! Gear up for the big game and share this recipe with your friends! It's perfect for Super Bowl Sunday! How do you like your french fries? With Chili? Cheese? Plain? Ketchup? Those look absolutely amazing! What a great game day treat! Wow! These looks so good! I cannot wait to try this recipe! I've never seen a french fry cutter like that! Pretty cool! Thanks for sharing your recipe on Worthwhile Wednesdays Link Party! 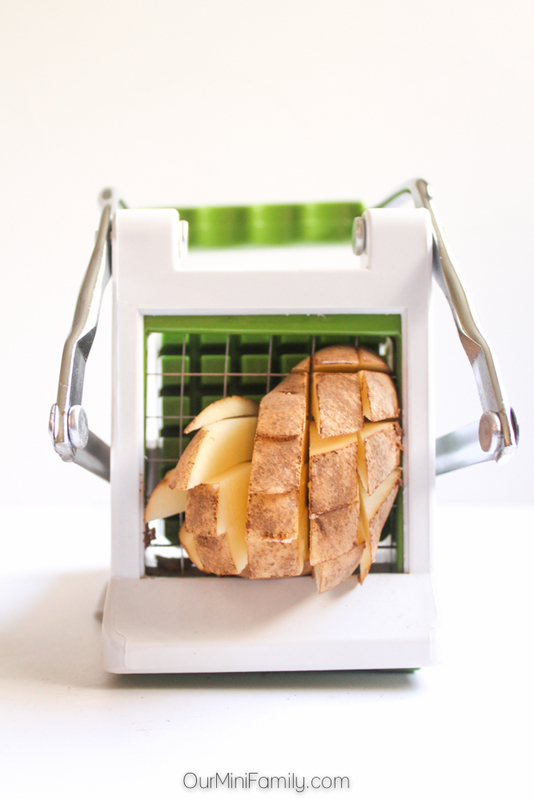 The french fry cutter is awesome and so convenient! Thanks for stopping by to say hi! OH my gosh! YUM! We've had a fryer for almost a year and haven't used it yet! This would be perfect to christen it!